Keep The Bee In Business and Washington in Bloom. You can Help! Honey bees make it possible for fruit, vegetable and seed crops to add billions of dollars in harvest value to Washington’s economy, nearly $3 billion from tree fruit and berries alone. The bees themselves add nearly $4 billion from honey sales, but their chief value is as pollinators. Provide forage for bees. Bees need nectar and pollen rich plants throughout the growing season. You can help by planting bee-friendly flowers and not spraying them with pesticides. Learn about legislation that seeks to improve access to forage for honey bees and other pollinators in the State. 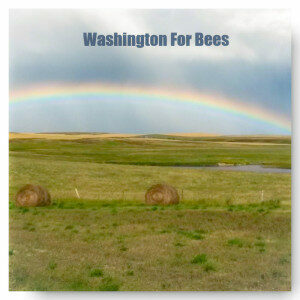 Support funding for honey bee research in Washington State. Beekeepers, growers, policy makers and the public all make decisions affecting honey bees. Having access to accurate data affects everyone’s ability to make decisions that support healthy bees and controls costs. Learn about the issues facing bees and beekeepers in Washington State. The challenges affect all of us. In December 2014, The Washington Honey Bee Work Group published a comprehensive list of recommendations of ways to help honey bees and beekeepers in the State. Read the full report from the Washington Honey Bee Work Group.